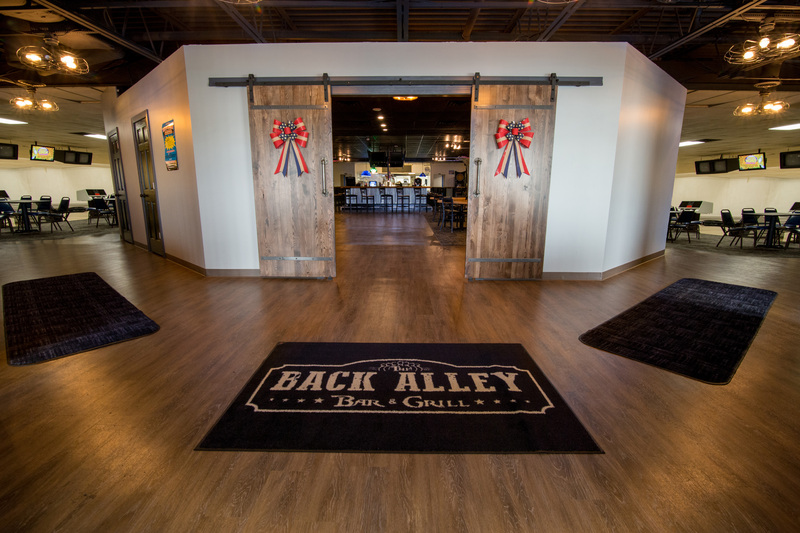 Join us at The Back Alley Bar and Grill! Weekly specials. 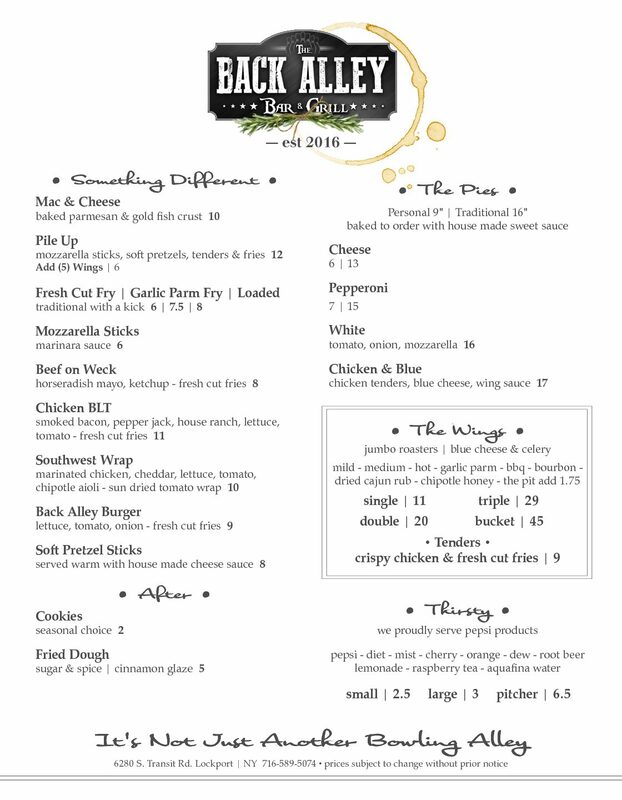 Now offering a TO GO Menu as well! Brad Angelo Lanes can host your next birthday, retirement, going away, or just because party!!! Click on a menu page below to view a larger version.